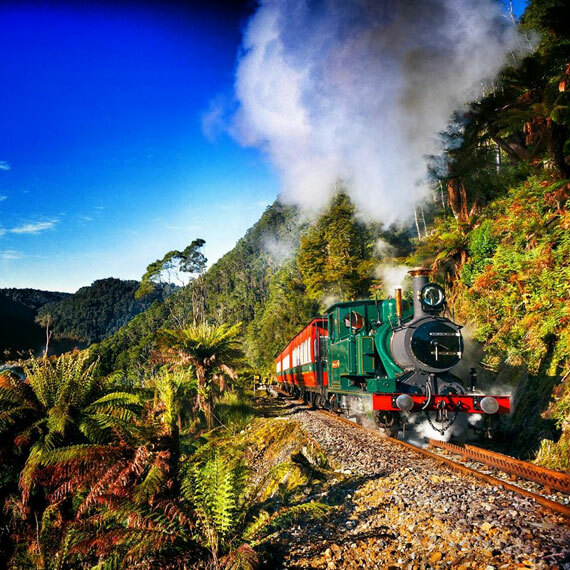 On Tasmania’s West Coast you’ll find world famous wilderness rich in convict heritage, stunning national parks and historic mining towns. 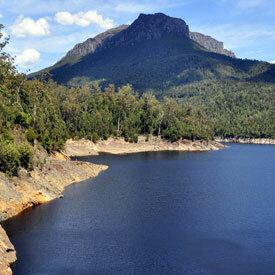 Gateway to Tasmania’s Wilderness World Heritage Area, yet, despite its remoteness, its easy and safe to visit. 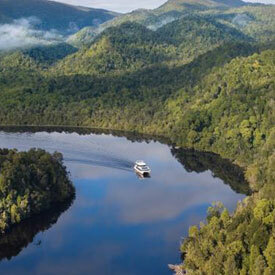 The coastal town is Strahan, situated on Macquarie Harbour and close to Sarah Island – very interesting. 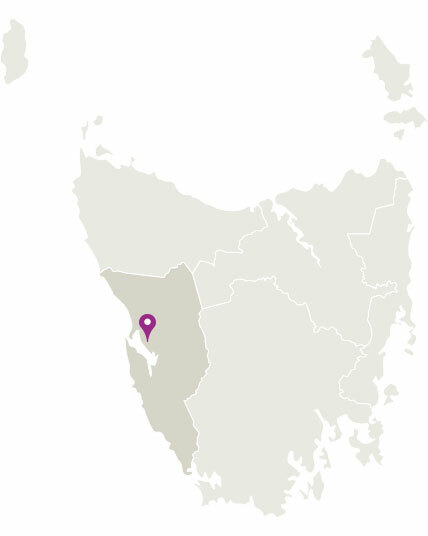 Inland Queenstown and the smaller towns of Zeehan, Tullah and Rosebery are rich in mining history and are all within a short distance of magnificent lakes, rivers, rainforests, giant sand dunes and historic sites. For a pleasant, more extended walk, leave the car in the town centre and take the foreshore walking track to and from the park itself. Feel like throwing in a line? 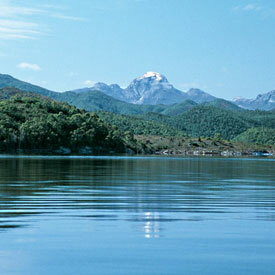 Well Lake Mackintosh is a must on your travels. Lake Mackintosh is stocked with brown and rainbow trout and a great place to go fishing with several boat ramps available on the lake. 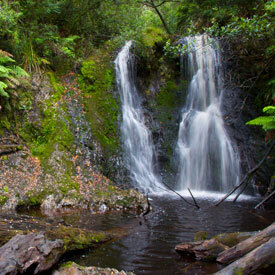 Or for those without a fishing license it’s still a beautiful spot to picnic and take a stroll along several easy bushwalking paths. 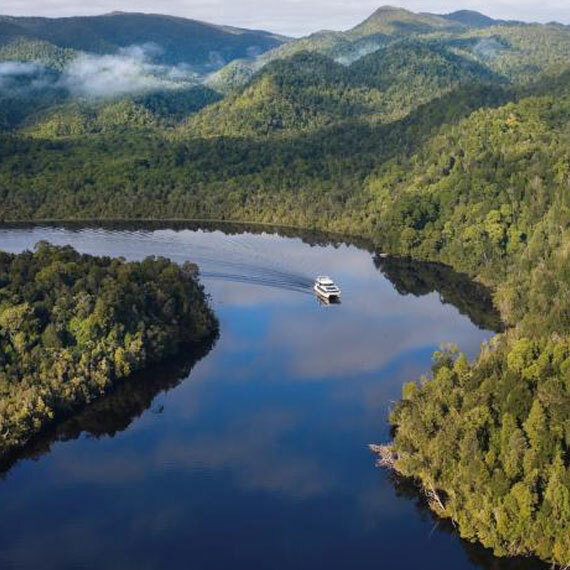 The name conjures up Aztecs association but the Montezuma Falls are all Tasmanian with its incredible park-like rainforest setting of leatherwood, myrtle, sassafras, giant tree ferns, native birds and wildlife. 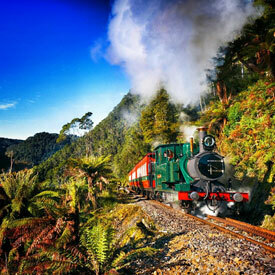 The track to the falls begins at Williamsford, two kilometres south of Rosebery. 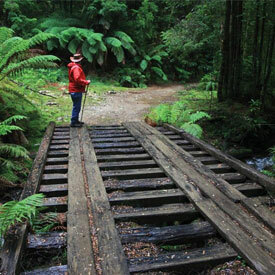 This easy, three-hour return walk along a level tram track takes you to the base of the 104 metre falls – Tasmania’s highest waterfalls.